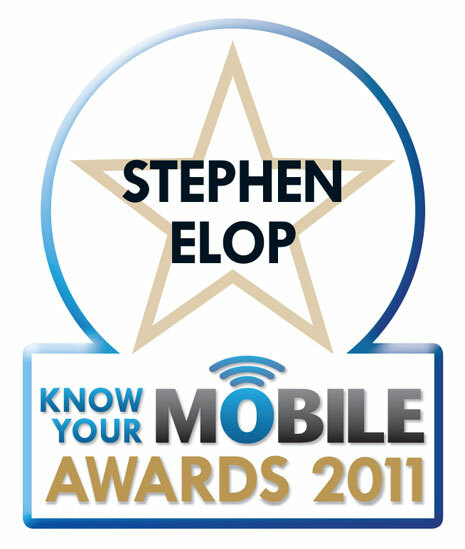 At the Know Your Mobile awards, the award for Mobile Personality of the Year was awarded to Nokia CEO, Stephen Elop. 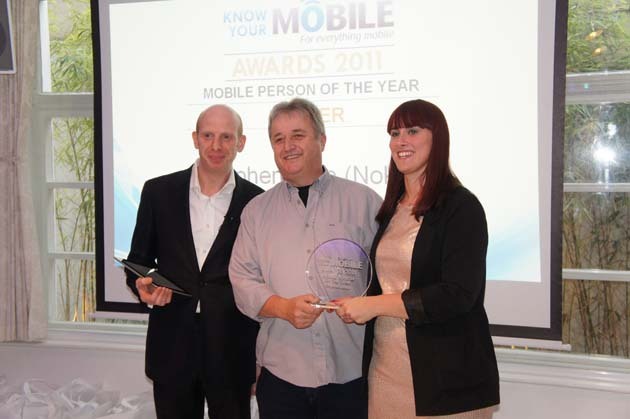 The panel consisted of Jonathan Morris, senior editor at Steel Media; Susi Weaser, freelance journalist; Harriet Rhodes, editor of dialaphone.co.uk; Comedian and host Steve Furst; and Know Your Mobile’s features editor Richard Goodwin. So – question: Are people saying Nokia’s back, in response to the new Lumia products? Tick. And of course, anectodes, angry tweets that folks can’t get a Lumia on Orange/Vodafone as its sold out. Secondly, in a Nokia related kind of way, Windows Phone wins Operating System of the year. Ooh ouch. Burn. Let’s see what Q4 numbers would be. Numbers are indicating that Nokia’s partners are doing quite well with their Mango devices too. This folks, at this nascent period, is where Nokia needs its partners to be strong. Before Nokia can finish assembling their Lumia WP high ends and the different alternatives that will flank them, they need others to help this environment grow in terms of both users, developers, apps, services etc. No point Nokia being lumbered to grow it all, especially when Windows Phone is so unknown. Next year it will be helped massively by Windows 8 which shares the same Metro UI (along with the standard desktop UI for those instances when that might be better). Based on the general reactions by some here to Elop and WP, I’m already anticipating the harsh responses to this, but oh well. Time to play WPhater drink bingo. Shots for each. Down your drink when all is said. Whether these awards are meaningful to you or not, it doesn’t really matter. There’s opinion from the doubters but also opinion swaying in a way that’s positive too. As a Nokia fan, I am loving that attention – and good attention – is on Nokia gain. All we know is that the new strategy has just begun. Indications are it’s quite good so far, but that Nokia will really fire it up next year.